In graphic design, few things are more important than color. Color sets the mood for a business and everything that is associated with it. That's why businesses that use color without purpose are "moody." From one piece of collateral to the next they are taking their customers on an emotional roller coaster ride. 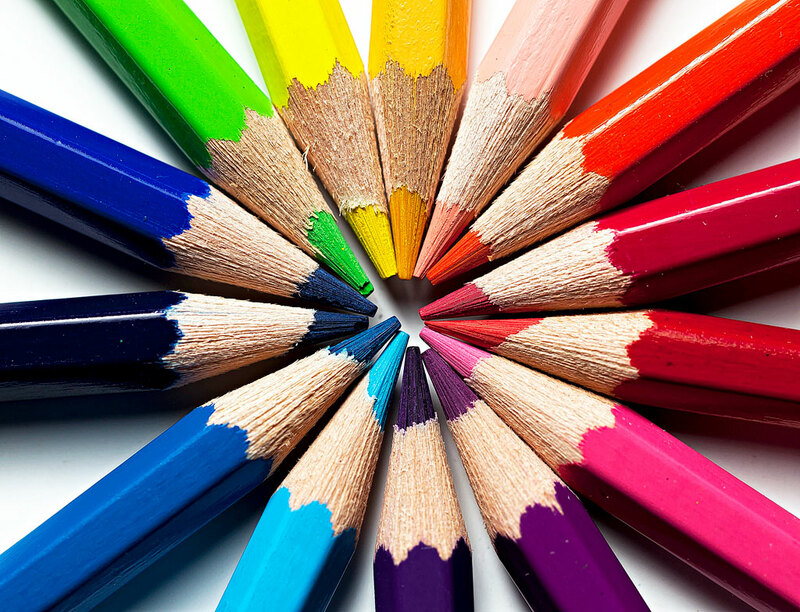 People process color before text so color is the best way to get your customers to pay attention. This isn’t a post for graphic designers as much as it is a post for the clients of graphic designers. Whether a color is suitable for the piece you are creating or the product you are marketing depends on who the audience is and what you want them to do. MacDonalds is a great example of how to think about color and your customers. If you find your stomach grumbling every time you see the sign, it's because of the psychology of color, not because of the taste of their food. The arches are yellow on a red background because red is a high energy color. Red increases your heart rate and stimulates the appetite. Yellow makes you happy and is also the most visible color in daylight. The fast food chain is encouraging customers to buy their fries and to be happy about the purchase. In general, most brighter colors are energetic. Some, like oranges and yellows, can actually be quite warming and are often associated with happiness, warmth, sunshine and hope. Some yellows are also associated with caution (those pesky yellow lights and reflective vests), so be careful of which hue you are attracted to. Then, there are cooler colors like greens, blues and purples. These are the colors of night, water, nature and often have a trusting and calming effect. Your graphic designer can adjust these colors too by mixing with a warmer color or even a hot one to be more attractive to your specific audience. Neutral colors like, black, gray and brown can serve as a backdrop for design, allowing for your brand mark and the other elements of design to stand out and have the intended effect. In short, don’t pick a color just because you like it. Decide on colors because they work for your business and send the right message to your audience. Let your graphic designer help you choose colors that complement your brand and work for your customers. This entry was posted in Blogazine on April 16, 2018 by Toren Beasley.